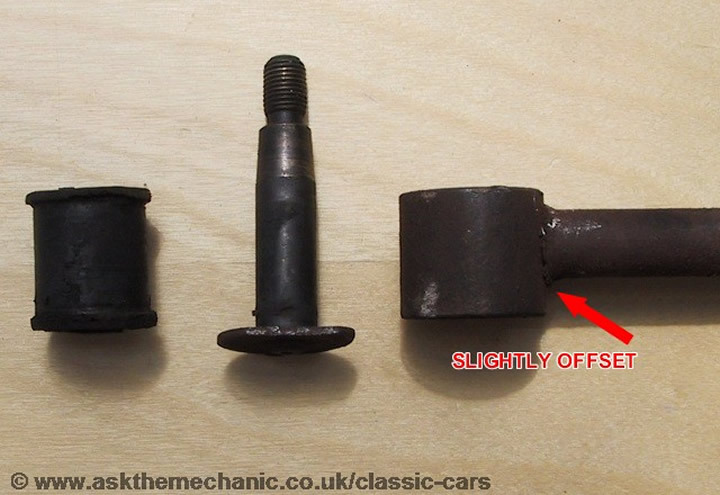 First remove the two track rod nuts, the swivel pins are tapered and normally split with a few hammer blows to the steering arms, don't hit the steering rod or swivels and leave the nuts on a few turns to protect the threads. If really stuck you may need a ball joint splitter, to break the joint. 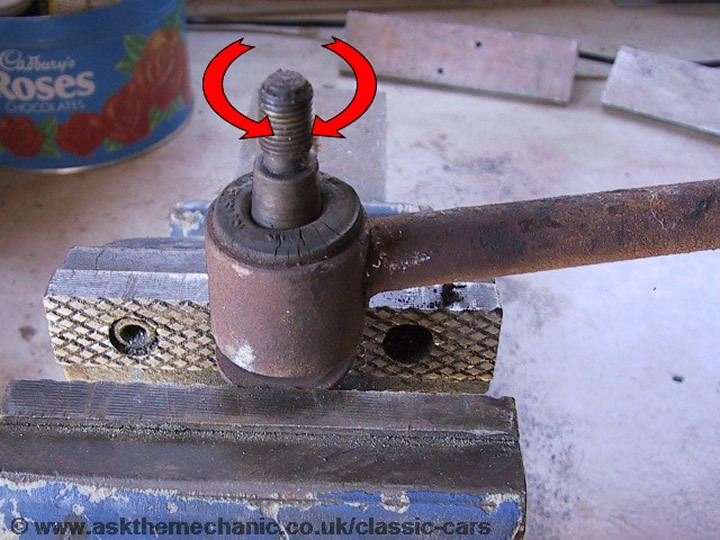 If the swivels turns before the nut is removed, push down on track rod to create friction to stop it turning, this will allow nut to undo. Clamp swivel head in vice, spray with WD40, rotate track rod backwards and forwards while applying upward pressure, the rod will move up and off the swivel pin. Now remove the old rubber bush with a screwdriver. Clean/polish the swivel pins with wet and dry sand paper, this will help them to side into the new bushes, ideally lubricate with silicon grease. They should then slide back in fairly easy, note the rod is slightly offset (see picture). If you have trouble you will have to find a piece of pipe and a washer to pull it though with the nut. Ideally use new nyloc nuts or a thread locking compound, as it is the steering you are working on and you don't want them coming loose.